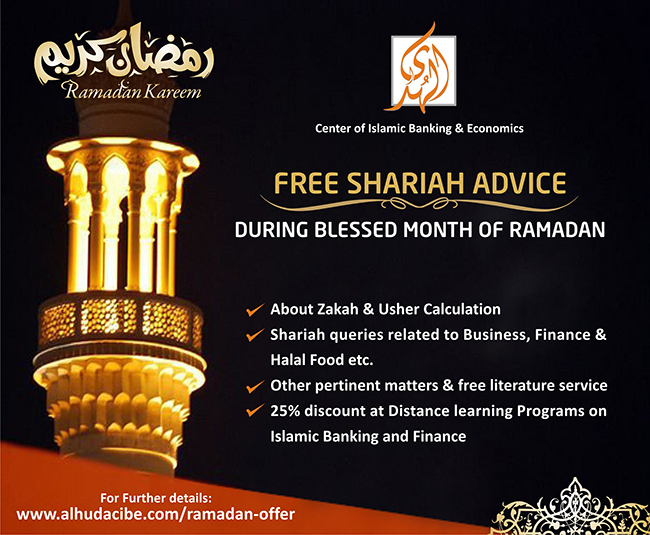 In the Holy month of Ramadan, AlHuda Centre of Islamic Banking & Economics (CIBE) initiates a special free desk to deliver free Shariah advisory and consultancy services internationally. This desk includes an expert and renowned panel of Shariah Scholars. 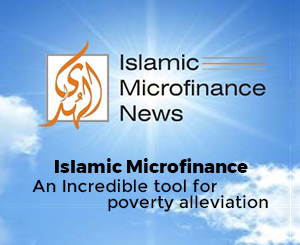 The individuals related to Islamic Banking and Halal Food now can enjoy the free advisory services in Islamic Banking, Zakat calculation, Halal Food, Islamic Insurance (Takaful), Sukuk and many other Shariah matters. AlHuda CIBE is providing these free services to keep a maximum number of people away from the Haram products and Interest. Muhammad Zubair Mughal the Chief Executive Officer, AlHuda CIBE said that AlHuda CIBE had struggled nationally and internationally so that the society could get rid of interest and a well flourished Islamic society could come into existence. In the above mentioned perspective AlHuda CIBE is providing it’s the best possible services in Pakistan, Central Asia, Africa and also in Europe & America and leaving no stone unturned for a great cause of Riba free society. AlHuda CIBE begins an international helpline especially for the persons who cannot come to our national and international offices to get their problems resolved. It works from 9:00a.m to 12:00noon (PST) under the supervision of international Shariah experts so that peoples from around the globe can be benefited from this service. He narrated that Islamic banking is growing rapidly all over the world and people are in search of the opportunities to start Islamic Banking & Finance. He further added,“AlHuda CIBE is also offering 25% discount on its distance learning programs on Islamic banking and finance during the sacred monthwith the theme to spread the blessings of Ramadan by bringing individuals in Shari’ah compliant and true profession to earn their livelihood. AlHuda Center of Islamic Banking and Islamic Economics (CIBE) is a well recognized name in Islamic banking and finance industry for research, advisory and capacity building over the last ten years. The prime goal has always been to remain stick to the commitments and provide state-of-the-art Advisory Consultancy and Education through various well recognized modes viz. Islamic Financial Product Development, Shariah Advisory, Trainings Workshops, and Islamic Microfinance and Takaful Consultancies etc. Side by side through our distinguished, generally acceptable and known Publications in Islamic Banking and Finance. We are dedicated to serve the community as a unique institution providing Services not only in UAE/Pakistan but all over the world. We have so far served in more than 25 Countries for the development of Islamic Banking and Finance industry so far.